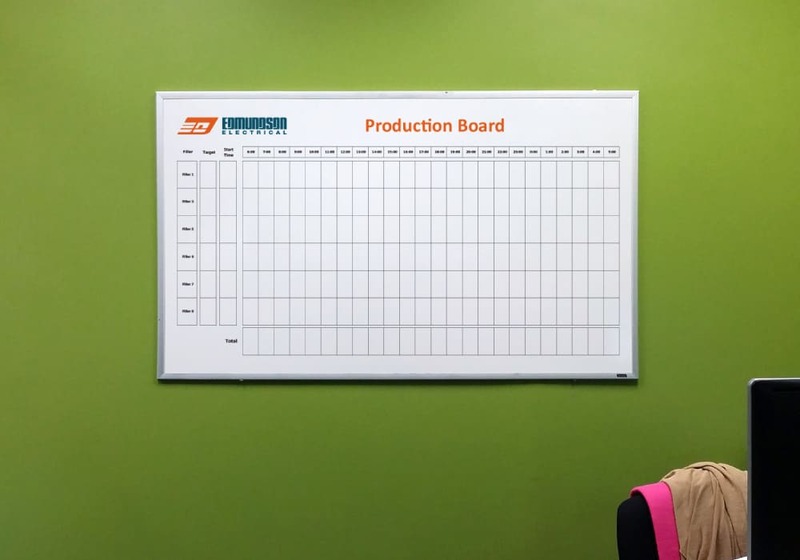 Dry Wipe Boards around the office and factory are a must for organising and directing your work flow, it is a great method of visual communication making presentation and interpretation easy and clear to understand. 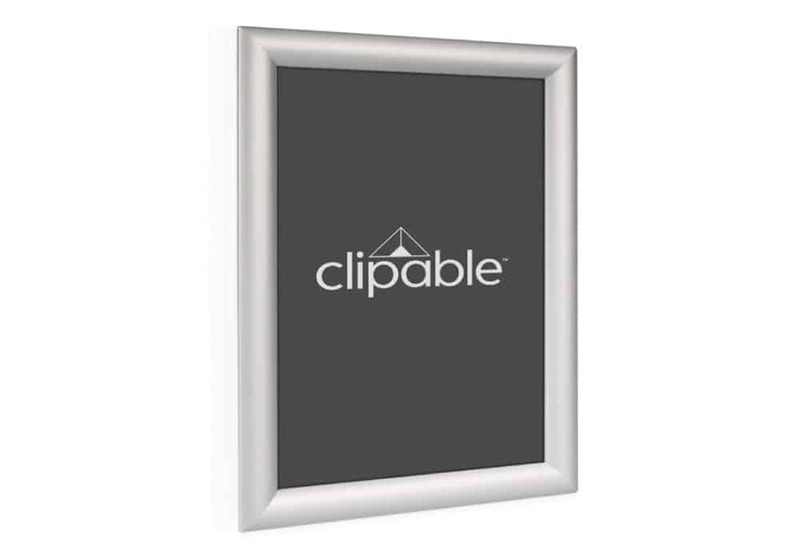 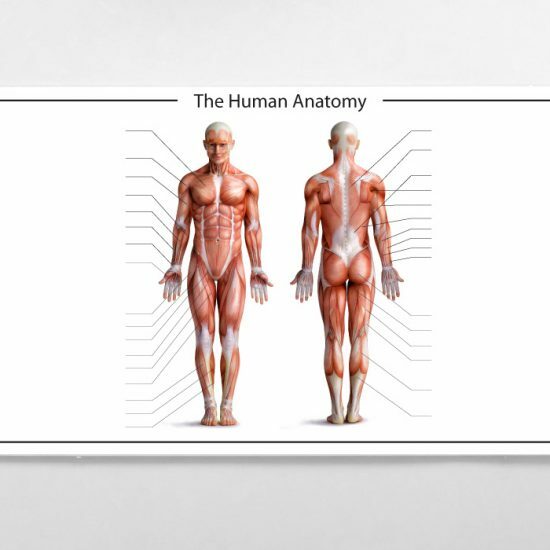 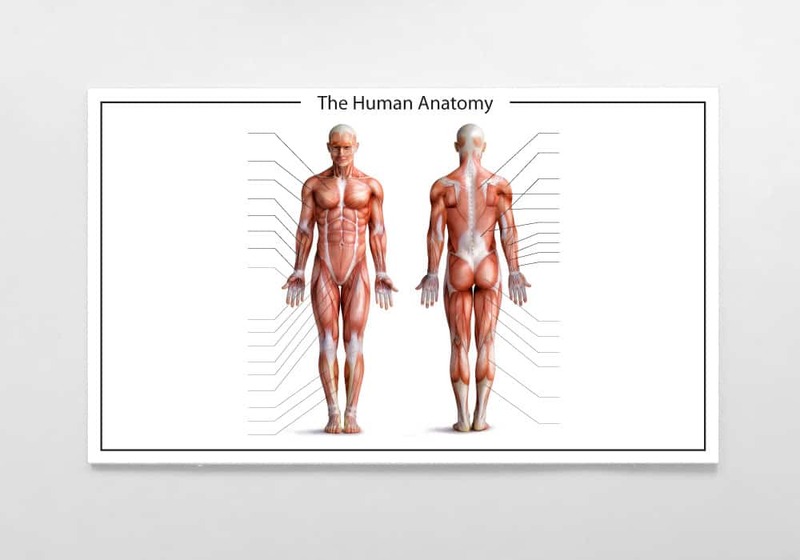 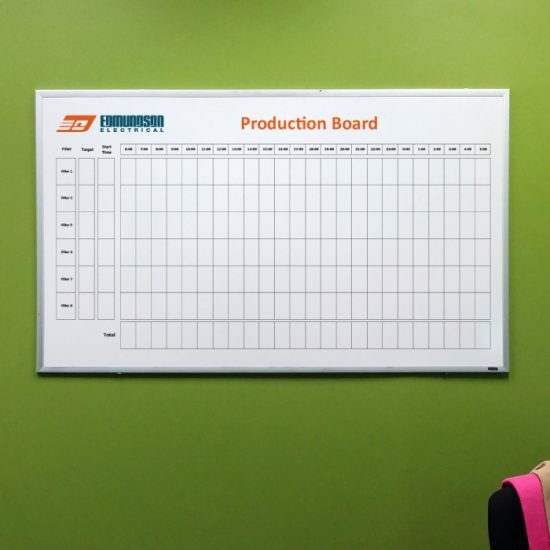 Use a custom printed Dry Wipe Board to inspire and inform your staff or clients. 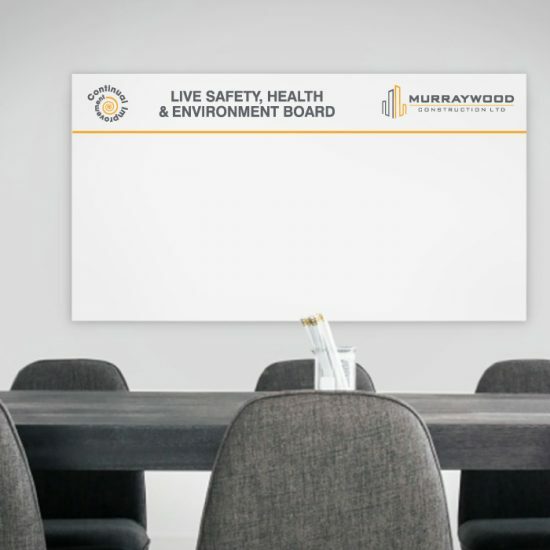 By incorporating your company logo together with a simple or complex chart your Dry Wipe Board will become an integral part of your office organisation. 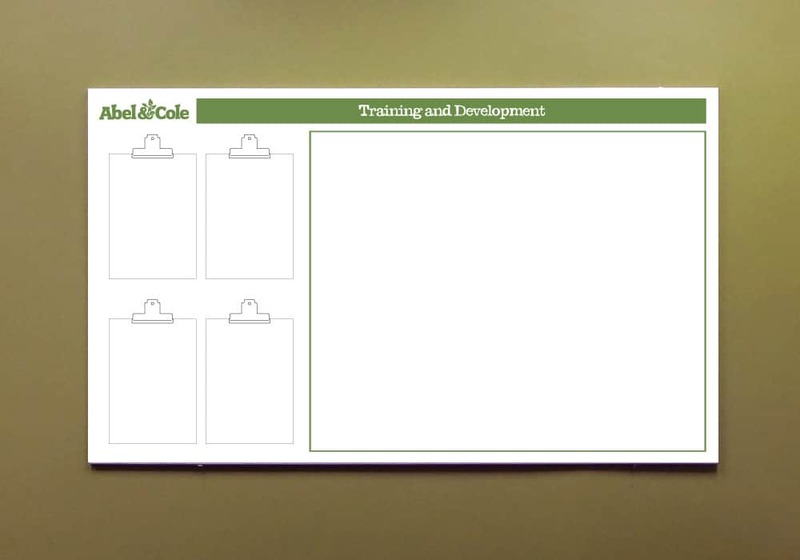 Signs Northwest can design and print bespoke Magnetic Dry Wipe Boards and Non-Magnetic Dry Wipe Boards to which will exceed your expectations. 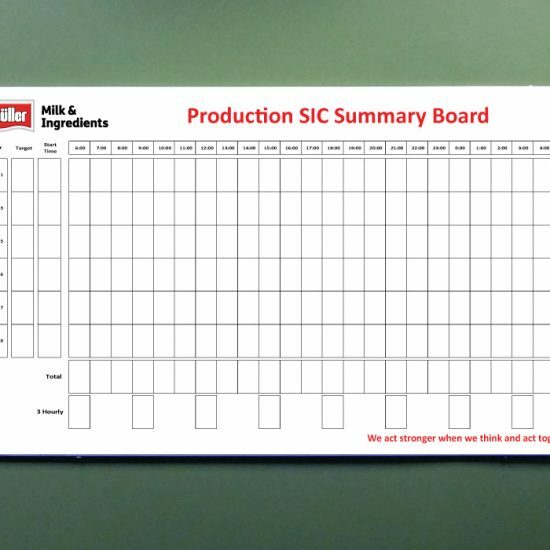 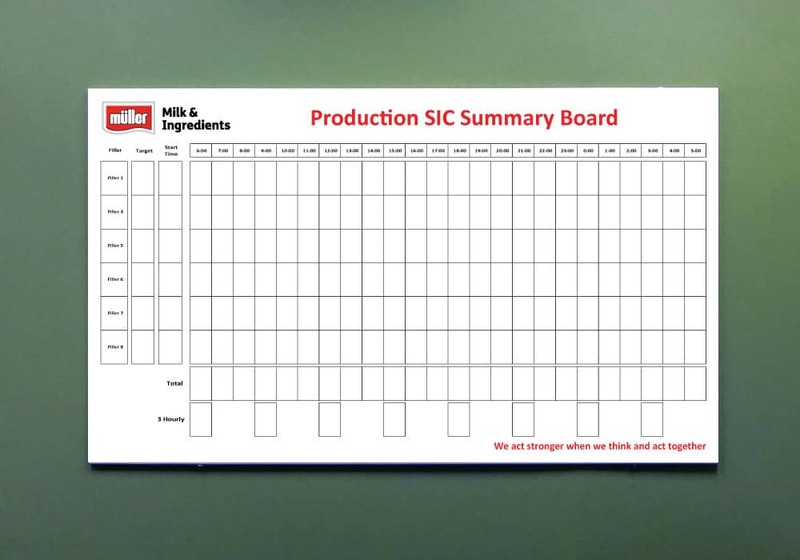 Your specification with headings, check boxes, tables, grids, calendars and branding, creates a new innovative way of managing information that needs regularly updating, such as sales targets, performance and shift patterns. 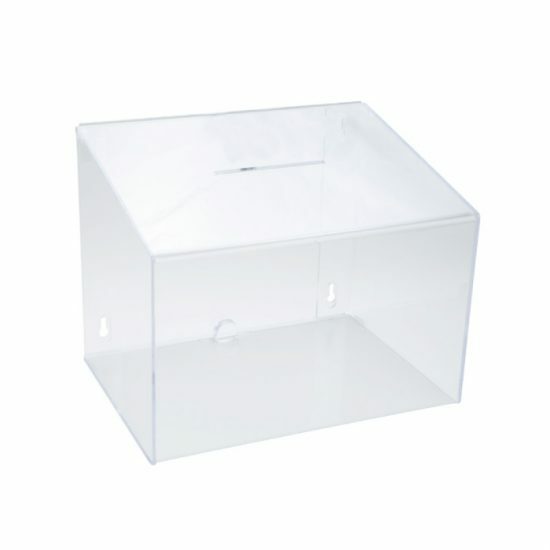 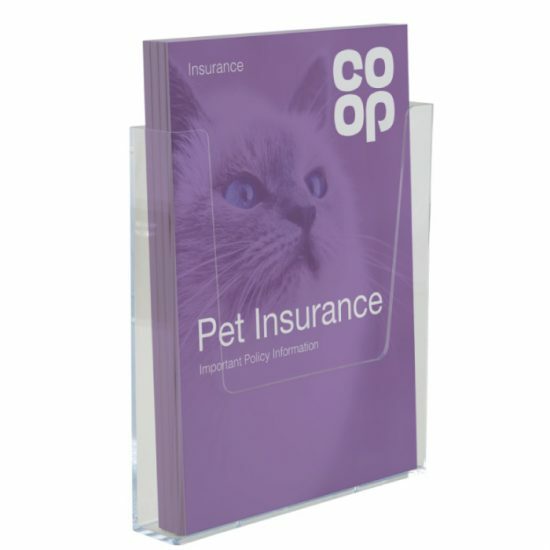 We also provide portable Dry Wipe Boards and custom printed Dry Wipe Wall Vinyl. 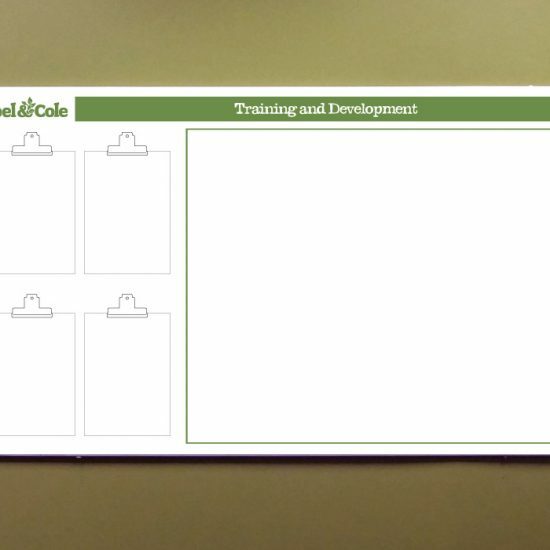 Portable Dry Wipe Boards are useful for training and sales sessions and Dry wipe wall vinyl can turn any wall into an interactive work space creating a stimulating environment for students and staff. 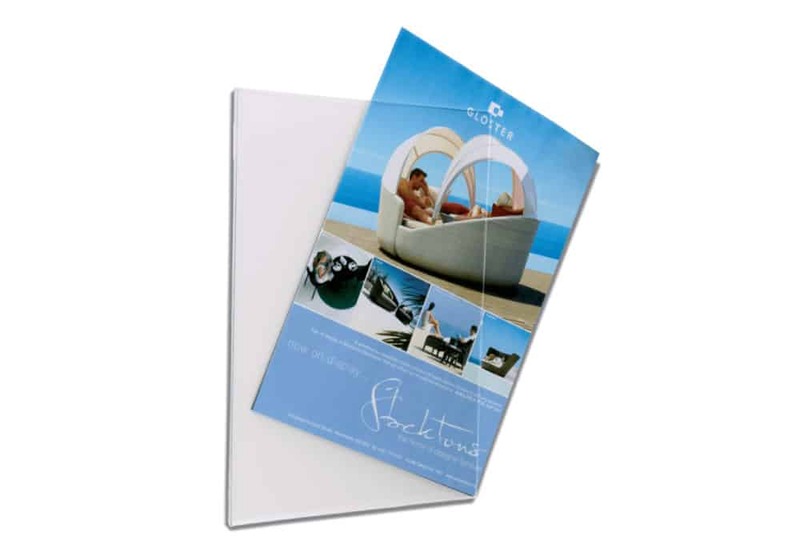 There are endless applications and designs we can produce for you. 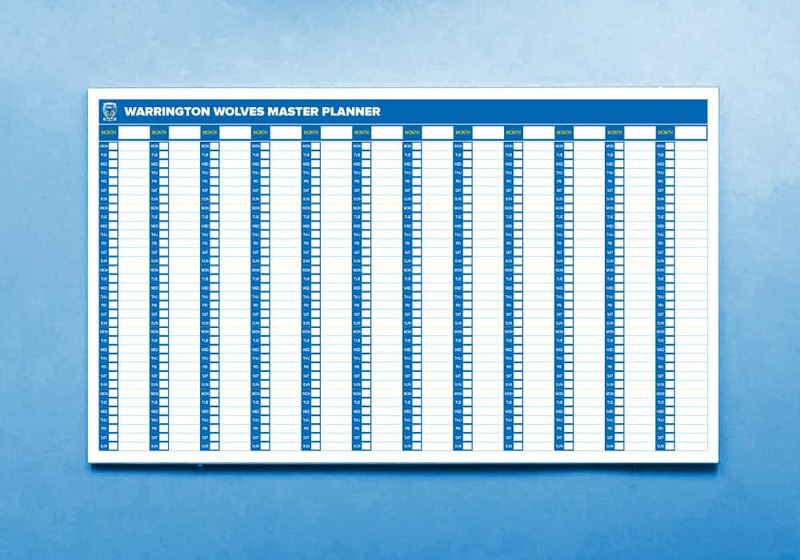 Signs Northwest can make and customise your Dry Wipe Board to suit your every need. 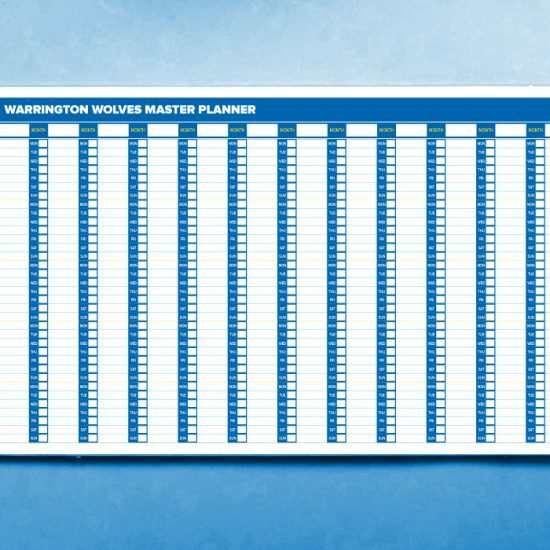 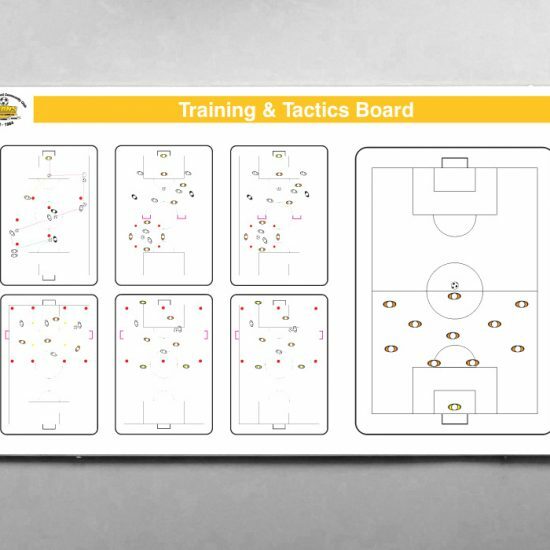 Organisational Dry Wipe Boards, Generic Dry Wipe Boards, Production Dry Wipe Boards, Tactics Dry Wipe Boards, Sports Training Dry Wipe Boards, Medical Training Dry Wipe Boards, Educational Dry Wipe Boards, Map Dry Wipe Boards, Kids Dry Wipe Boards, Calendar Dry Wipe Boards, Site Map Dry Wipe Boards. 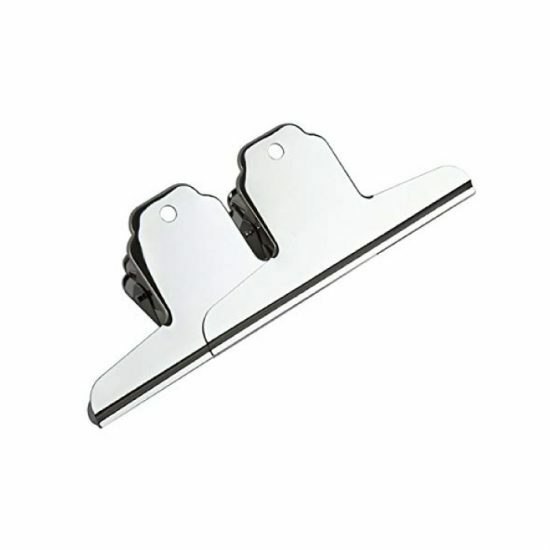 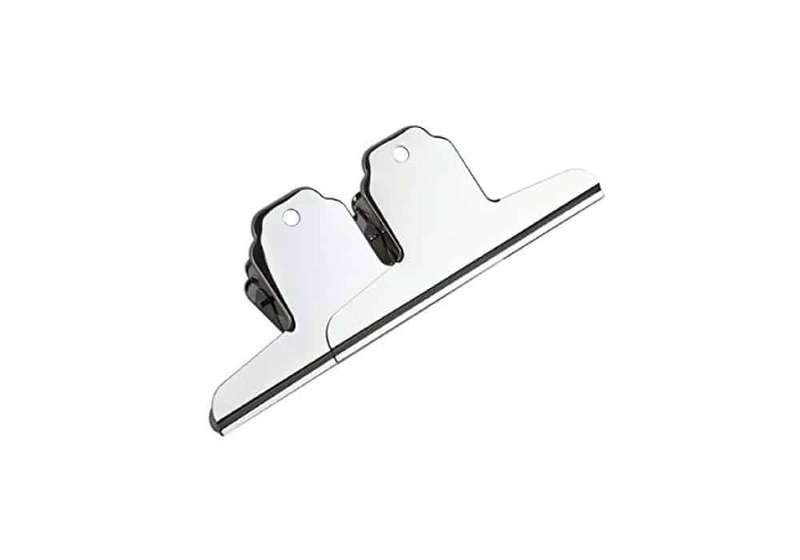 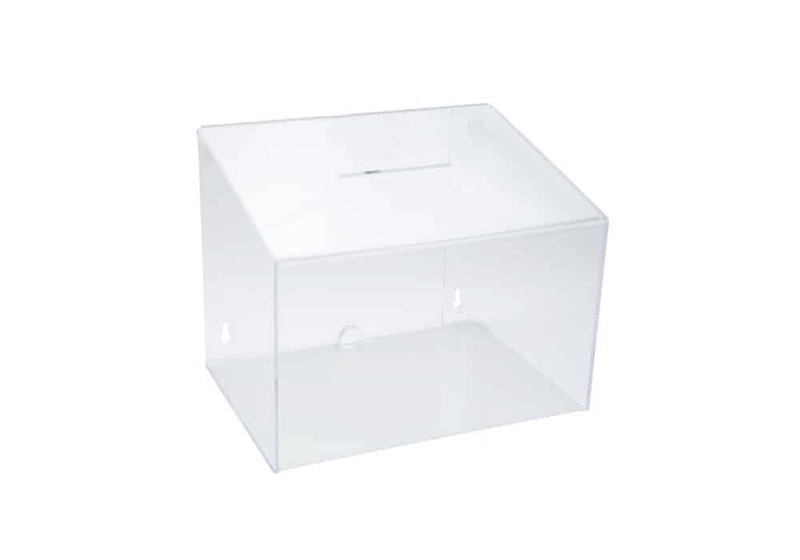 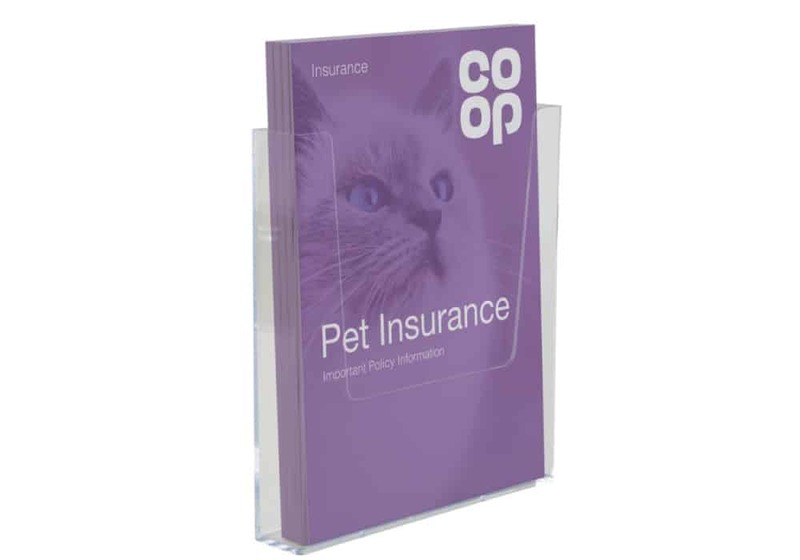 Magnetic Counters, Wallets, Leaflet Holders, Bulldog Clips, Snap Frames, Hooks, and suggestion Boxes can all be added to your dry wipe board. 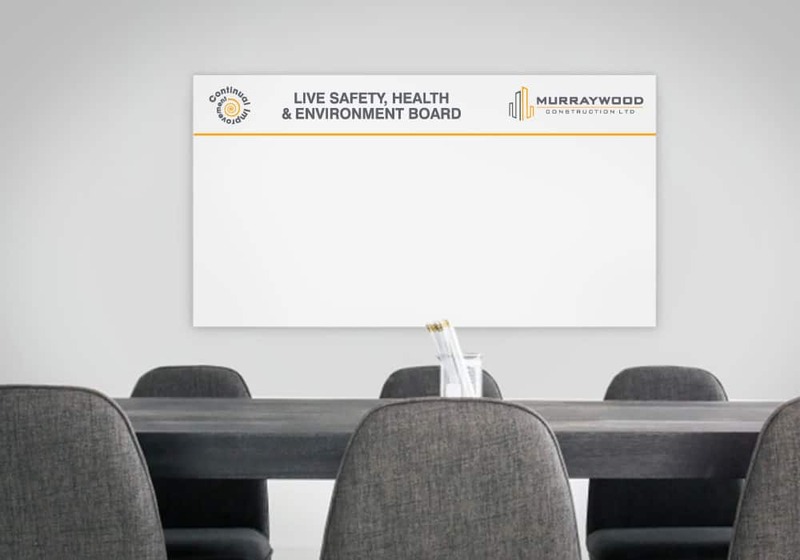 Made from 5mm Foamex your dry wipe board can come in any size you need ask our sales team on the best and most cost effective size for you, or why not cover the whole wall in dry wipe vinyl making a large area writable from top to bottom. 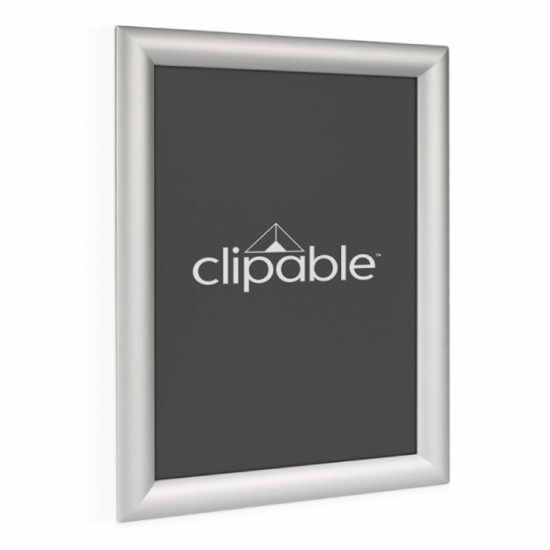 600mm x 450mm, 900mm x 600mm, 1200mm x 900mm, 1200mm x 1200mm, 1500mm x 1200mm, 1800mm x 1200mm, 2400mm x 1200mm. 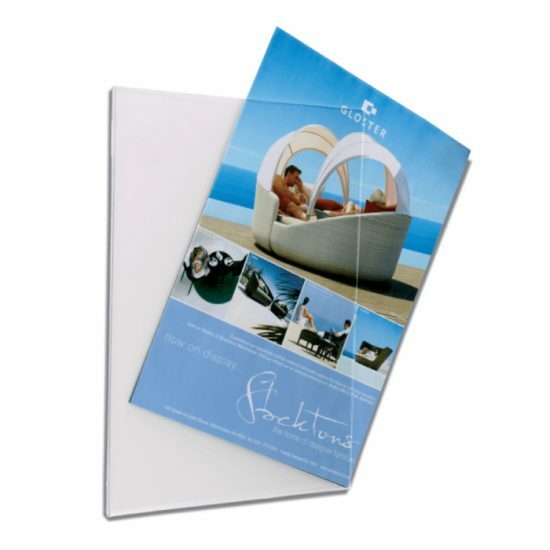 Let Signs Northwest design and work with you to create the customised board for the application you need.